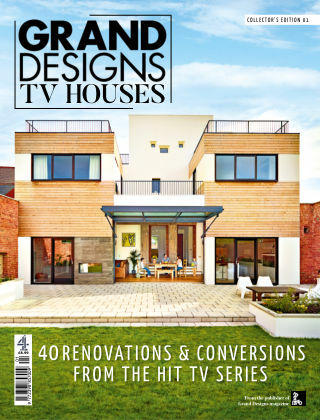 With Readly you can read Grand Designs TV Houses: 40 Renovations & Conversions from the Hit TV Series and thousands of other magazines on your tablet and smartphone. Get access to all with just one subscription. New releases and back issues – all included. To celebrate nearly two decades of the TV series, the publishers of Grand Designs magazine have created this special edition bookazine; a comprehensive collection of the best extensions, renovations and conversions from the show’s history, as well as some of our favourite Grand Designs Awards winners. Packed with unique projects and inspiring ideas, this collector’s edition is not to be missed.